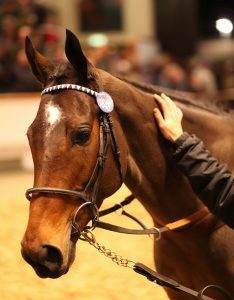 MARSHA duly smashed the European record when Coolmore’s MV Magnier outgunned John Gosden at six million guineas at the Tattersalls December Mares Sale in Newmarket. Magnier was in no mood to be denied… “She’s going to Galileo” confirmed Magnier. “She’s one of the best sprinters around and she has a lovely presence about her”. Lucrative Sales Returns: Yearlings in 2018 sold for €420,000; €275,000; €265,000; €210,000; €195,000; €170,000, etc.